Found 6 file extension associations related to Samsung PC Studio and 6 file formats developed specifically for use with Samsung PC Studio. 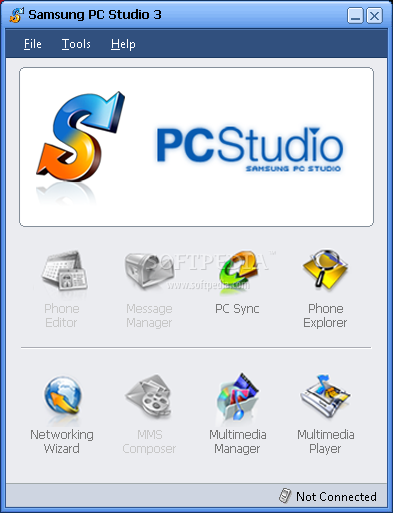 PC Studio features a function to easily manage mobile phone "data". Personal information such as the phonebook, schedules and messages stored in the mobile phone can be easily stored and managed in the user's PC. The contacts and schedule can be synchronized with MS Outlook so that the personal information in the mobile phone can always be updated with the latest data. The Samsung PC Studio software seems to be old or discontinued. If you need more information please contact the developers of Samsung PC Studio (Samsung Group), or check out their product website.